You are at:Home»Planning your trip»Why an Annual Pass Can Save You Money (Even on one trip)! It’s common sense that if you’re going to Disney frequently, an annual pass is a great idea. There are others who should really consider it as well. While the different levels of annual passes vary your access to the parks and vary your perks, they last throughout the year. Annual passes get you discounts. Sometimes big! You can participate in things that are only for annual pass members. TIP: Only one person needs to buy the Annual Pass to get discounts (and some perks) for your entire party. To lower travel costs, some people buy regular tickets for everyone in their party except one person who gets an annual pass. This allows you to enjoy the discounts and even special annual pass member activities. However only the person who has the annual pass will be the only one who can get entry to the parks for the year. When is an Annual Pass more economical than regular tickets? If you do this, you’ll be able to see if it’s cheaper to buy tickets or annual passes. This will take a little research on your part to determine what discounts you’re likely to take advantage of, but it can be worth the effort. 2. You’re planning numerous trips within a 12 month period. Again, you’ll want to compare, but with more trips comes more park days, and you’re likely to take advantage of more discounts. Entertainment like Mini Golf, bike rentals, fitness club/salon/massage, surry bikes, boat rentals, horse drawn carriages, fishing. PhotoPass Downloads are free for some Annual Passes. Check out the specific discounts Annual Pass holders currently get on Disney’s site. Even if you’re just staying in a Disney resort and taking advantage of the Annual Pass room discounts, you may make up your money from that alone. Especially if you’re staying in a deluxe resort. Special events that only annual pass holders can participate in. Free give-aways that only annual pass holders can receive. Park Hopping – Ability to visit all 4 parks the same day for most annual passes. If you’re a Floridian, check out the article called Florida Residents – Disney World Tickets and Annual Passes – What you need to know. These discounts usually come out around 2-4 months before your travel dates, and they’re not always available. They can sell out quickly, but when you can get one, the discount is significant. To get the Annual Passholder rate, you don’t have to have your annual pass(es) before reserving your room. So if you find a good Annual Passholder rate, you can make your reservation and then buy the annual pass(es). Before you choose the Annual Passholder rate, do the math and make sure that the discount makes it’s worth the cost of the annual pass. Also, since the Annual Passholder rates come out rather late, you can reserve your room without it and watch for it. Once it’s released, if you can get it for your dates, you can apply the discount then. If you’re out of the country, when you’re trying to determine if an annual pass is for you, you’ll also want to look at the way the exchange rates impact ticket pricing. 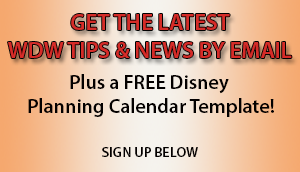 Visit here to read Tickets at Disney World: How to Pick the Right Ones for You! Read TICKETS AT DISNEY WORLD: HOW TO PICK THE RIGHT ONES FOR YOU! 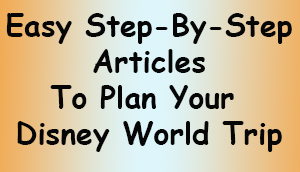 FOR ARTICLES WITH STEP BY STEP DIRECTIONS ON HOW TO PLAN YOUR DISNEY WORLD TRIP, VISIT HERE. TO CHOOSE WHERE TO STAY ON YOUR TRIP, VISIT HERE. Should I use a Travel Agent or Book Myself? Should I Pick a Disney Resort? Which Disney Resort Should I Choose? Which Tickets Should I Pick? Should I Book a Package or Room Only? Is the Dining Plan Worth it? Step 6: Book Plane, Car, etc. Reserve Plane, Rental Car, etc.